Online asian fashion stores are opening all the time, and whilst it's not very often that I make purchases for asian fashion online, I must admit I spend A LOT of time browsing a certain many of these sites for inspiration, the latest styles and a pricing comparison. Last week, the team from the Birmingham-based store, Omsara.co.uk got in touch to tell me about their offering. Here's a closer look at their online shop and my picks from the collections they stock. The store is split into 4 key clothing areas: Kurtis, Sarees, Salwar Kameez and Lehengas, plus a selection of accessories and jewellery. Omsara's collection of Kurti dresses start from £19.99 and go up to £37.99, with the average cost being around £30-£35, available in Small, Medium and Large. I fell in love with soft pastel shades after seeing Anushree Reddy's collection at the Aashni & Co bridal show, so this mint green dress with floral detail in orange immediately caught me eye. I especially like the floral detail in the first saree and the contrasting deep red of the blouse. There are 412 salwar kameez designs in the collection, although some of them are listed as sold out. In among the mix you'll find collections modelled by Bollywood actresses, the newest of which is a collection seen on Shraddha Kapoor. All of the salwar kameezes come semi-stitched, so you'll need your own tailor to fit the outfit to your specifications. Prices start from £20.99, with most being under £200. As with the salwar kameez collection, all of the lenghas come semi-stitched. 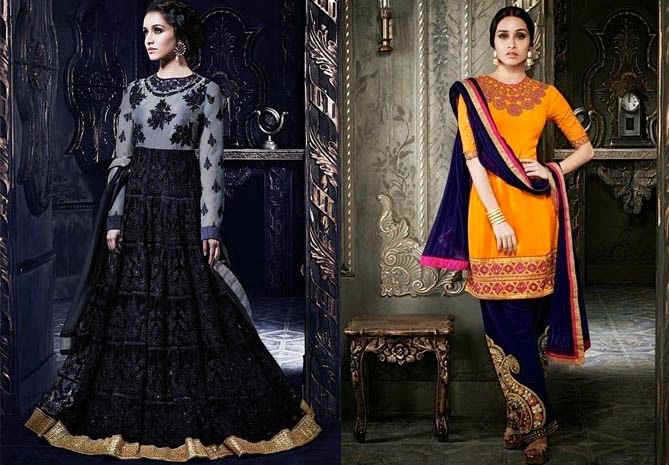 Prices range from £62.99 to £499 and I spotted a few Manish Malhotra copies in there too! This floral lengha is my pick, I'm so into florals right now and even though my last blog post dedicated to lenghas was all about crop top looks, I really like the length of the top on this and the red sleeves. 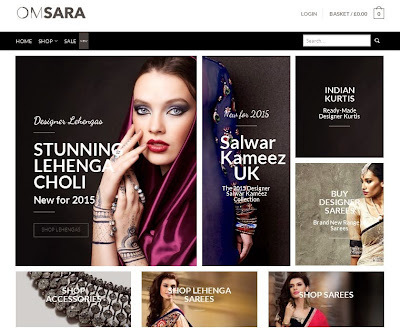 Omsara.co.uk offer free delivery for purchases over £40 to UK customers. 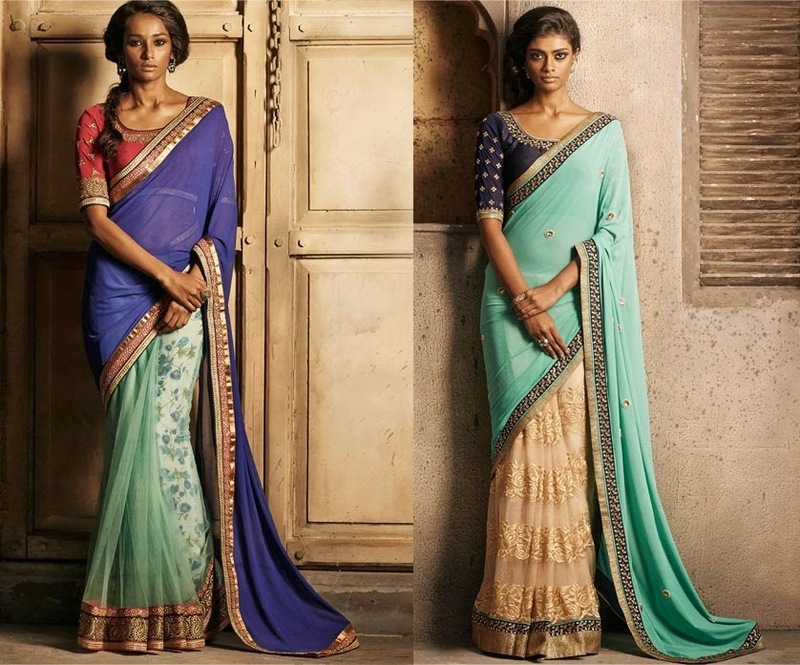 I've not made a purchase yet, but I'm seriously tempted by the saree collection most of all!